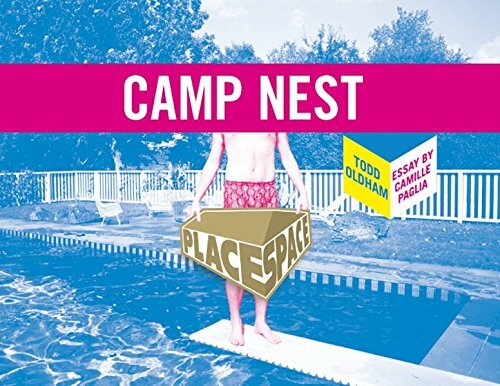 The fourth of four titles in a continuing series of books by Todd Oldham that highlight remarkable people, places and spaces features an essay by author/social critic/educator Camille Paglia. Todd Oldham is one of the most beloved and mediagenic designers working today. Originally a couture fashion designer with several stores in New York, and a commentator on MTV's House of Style, Todd's career has evolved to include all areas of design, from film and photography to furniture and graphic art. Todd appears frequently as a consultant on NBC's Today, as well as on MTV's enormously popular Crib Crashers, for which Todd redesigns teenagers' homes in the likeness of their favorite stars' abode. Oldham designs his own line of dorm room furnishings for Target in addition to a line of furniture for La-Z-Boy, and he is currently developing a television series based on Handmade Modern. Most recently, he has become a contributing editor to ReadyMade magazine. He lives in New York City.